Do ye know the year? In scouring the digital seas, nary an exact match manifested itself. Though I suppose if one was to consume a libation or five, like other men of susceptibility, ye could arrive at yer desired conclusion. 1970's be the decade, with brazin' happening a most certainly after 1972 (according to permanent records). Do ye know the model? Again, a delving into the records show this most similarly to a C 132. "Semi-pro, extra light" by one insightful lad. Captured moments displayed below shall allow the multi-toungued of you to translate more than I could, though to be fair, my fading French picked up on enough to get the idea. From what my semi-ignorant soul can gather, is that this was not a barrel-dredging affair. Quite the contrary. Extra light tubing, Campagnolo dropouts (including for the rear derailleur mount, a standard M10), braze-ons for a pump, brake cable stops, shift cable stops, and down tube shift levers. 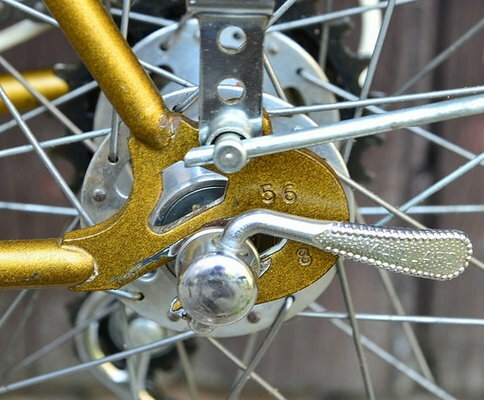 Chrome "socks" adorning the fork and stays. Perhaps chroming fully underneath. The frame measures 61cm CTC, or 63cm CTT. Top tube is 58cm CTC. Chainstay length is 45cm measured from the center of the BB spindle to the center of the long dropouts. Phillipe stem (most likely 22.0 with a 25.0mm bar clamp). Seatpost diameter unknown, as I didn't measure it. Came with Mafac Racers and 27" wheels. Derailleurs switched out to Suntour units, but shifters were Huret with a weird side-puck shifter cable. Shifter braze-ons had the square base, but with a fully round boss/extension (no flat sections). Stronglight crankset has slightly wobbly rings that I gently made a lot less wobly. Bottom bracket is in near perfect adjustment, with no gravel feeling. 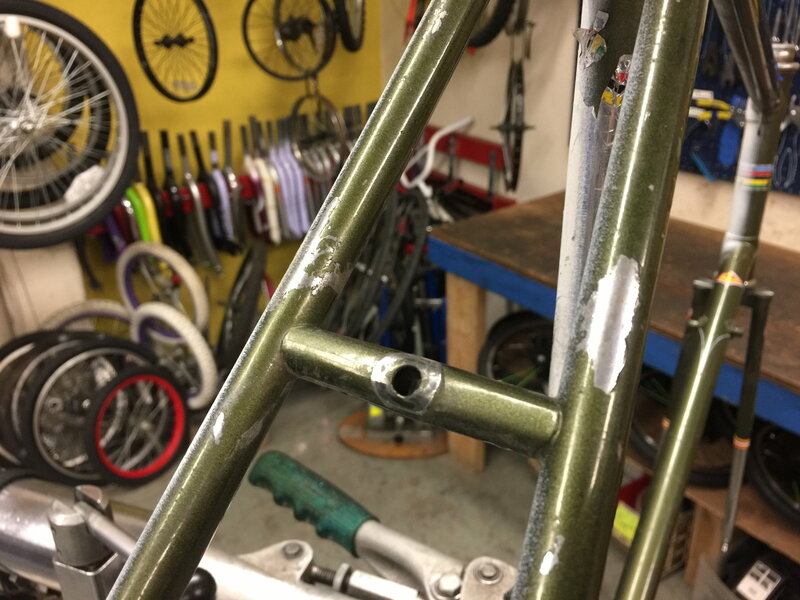 Only issues are a small top tube dent, and....lame spray paint on the non-drive side (MEGA stupid). 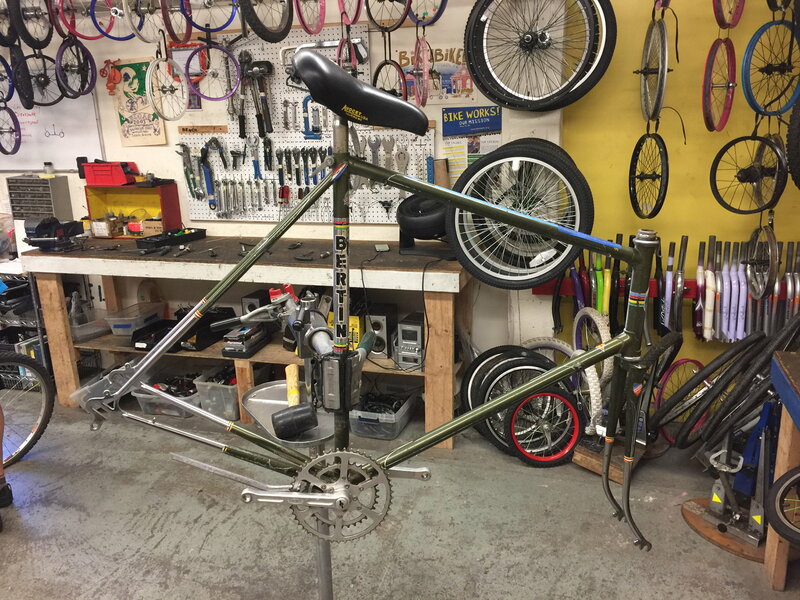 I plan on taking this frameset home and de-painting it, but am open to getting it to a (local) member if they are so inclined. There is enough "special" on this bike that makes it worth getting the white paint off and keeping the patina, building it with functioning components, and riding it. Drugs...not even once.... WHY DO THIS??? The chrome is still decent and workable in the spots where it isn't 100% fine. I will have to re-familiarize with acetone and getting off the not-too-stuck-on white paint. I think this frame is pretty neat, and deserves another chance, especially as it is a classic tourer in the French tradition. Low trail, sinuous tubing and all. It could be a lot of fun. Any and all information is welcome! Good lord! What happened to that frame?! Ooh la la! Is it taken? It's really too small for you, no? I think someone out there might have a white shed with a faint bicycle shadow in the paint. Nice save! That’d fit some fun 700c rubber me bets. Now that's a Gugificazione project! Looking forward to reading the observations of @bertinjim. 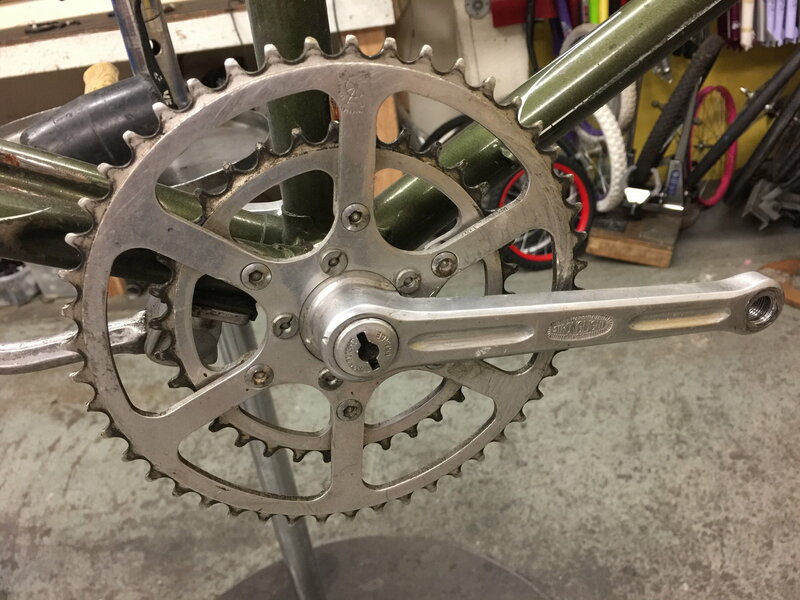 One does not encounter a great many french machines wearing an ESGE chainstay bridge. Although used liberally by MB on lower models. Headset by Gourgaud et Cie. I have a sistership in a smaller size. never got around to building it ​​​​​up, found a C-37 in my size. We imported Bertins into the US from 1975 until the early 80's. I left the company in 1979 but stayed in touch with my friend who owned the business. Most of the Bertins we brought in were entry level to mid-range models: C28, C31, C132 with a few of the better quality C34, C35 and C37 bikes. One MISTAKE that a lot of people make about Bertins is the model numbers were more reflective of the frames than the complete bikes. 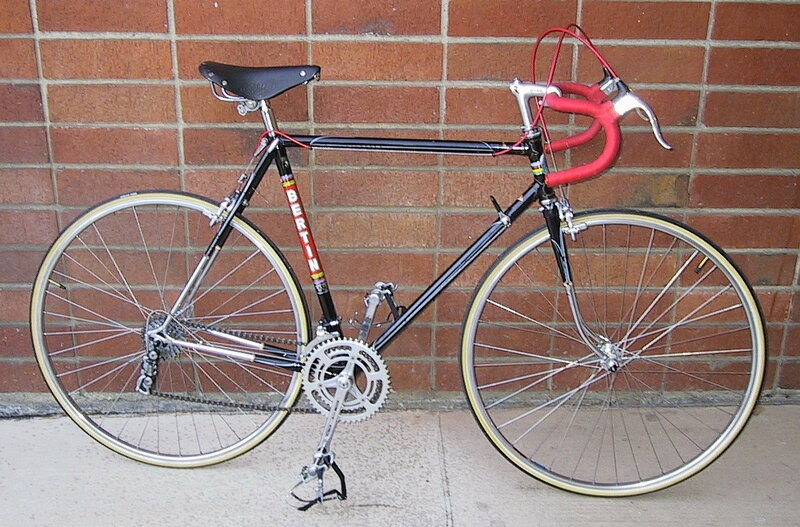 For example, the model C37 was Bertin's top of the line frame built with Reynolds 531 tubing and Campagnolo 1010 dropouts. I've seen C37s equipped with everything from cottered steel cranks and Huret Alvit derailleurs to full Campy bikes. 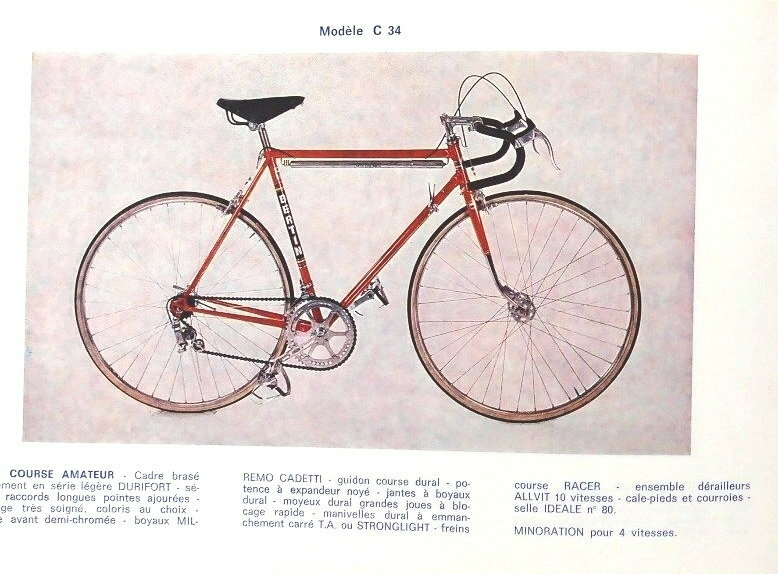 Bertin produced some bikes to their catalog specs but: "les spécifications sont sujettes à modification sans préavis" specifications subject to change without notice! 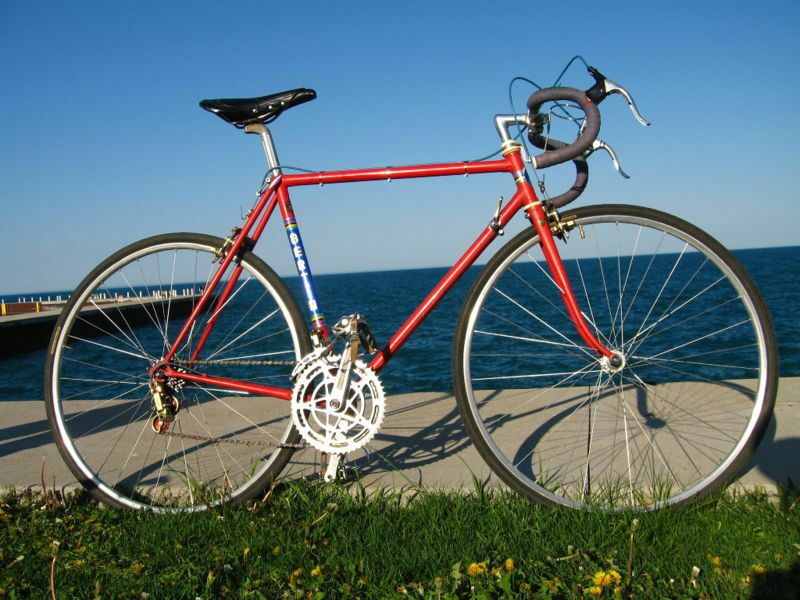 Most bikes were built to their wholesale customer's specifications (they didn't sell direct to retail customers). We could specify any components we wanted on the bikes that we imported. *To some degree sizes too. We had no control over lugs, colors or decals. Bertin tended to use whatever they had on the shelf, especially when it came to decals. We'd receive up to 3-4 different generations of decals in the same shipment! The other thing, Bertin was the French Shimano importer. They couldn't understand why we wanted bikes with all French components. We had a market for "All French" bikes just like Peugeot did. It's more likely an early 70's C34 or C34bis. The C34 series were their "amateur" racing models. Bertin used Nervex Professional lugs on a lot of their better bikes until maybe 1971-72??? 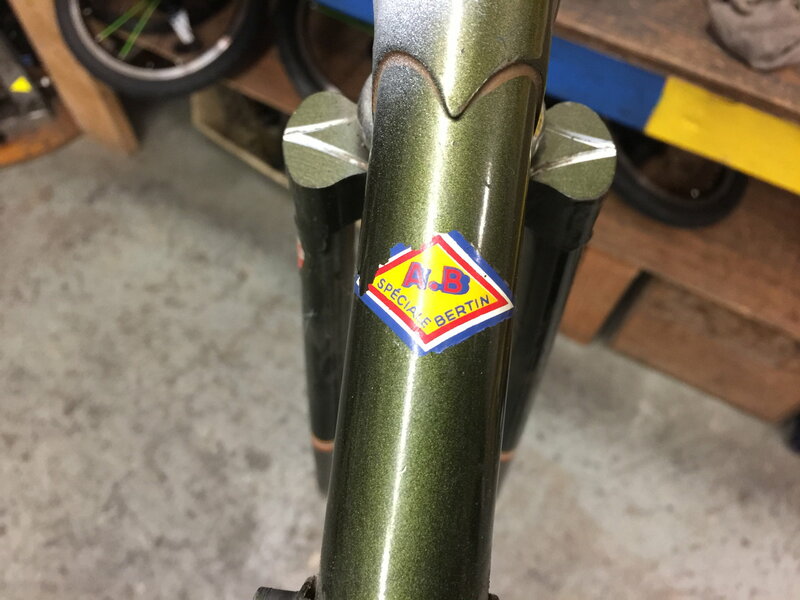 Also they pinstriped the frames on those models up until they changed to Bocama lugs like on this frame - cross over period??? 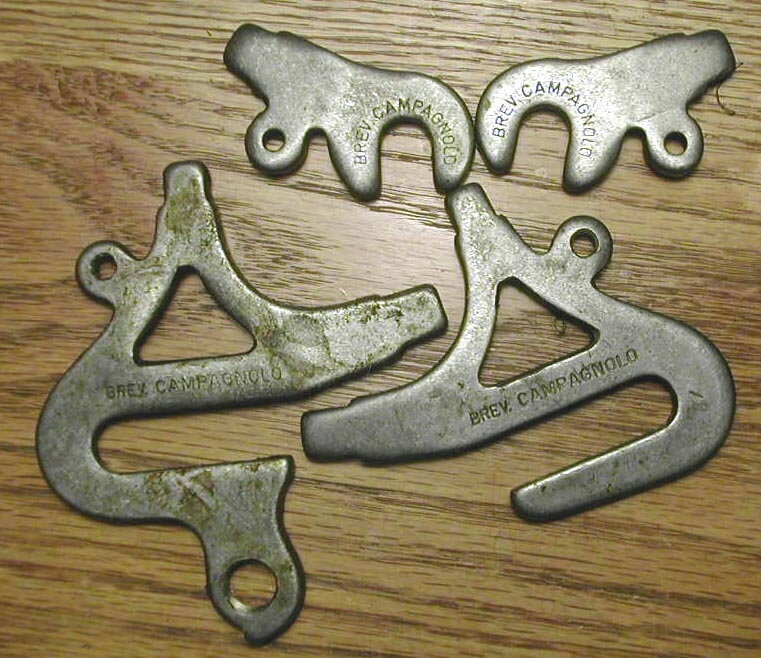 They stopped chrome plating the rear triangles on most of their bikes during the bike boom period. 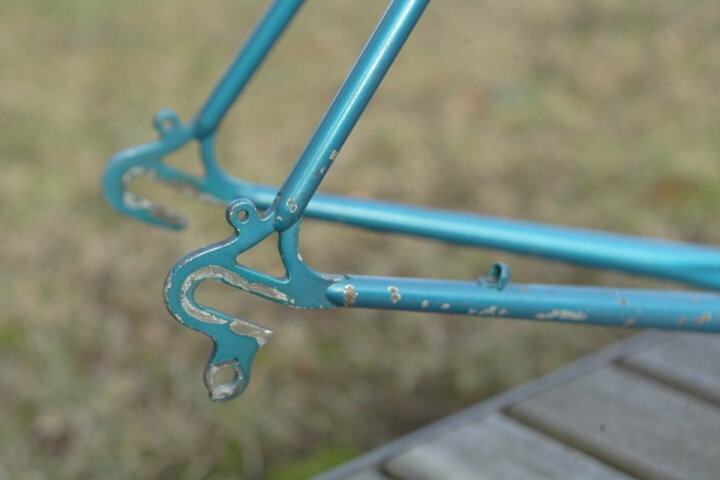 C31 and C132 frames used 6mm thick stamped dropouts without an integral derailleur hanger until ~1976. We approached Bertin and asked then If they could use Campagnolo dropouts instead because many of the lower priced Japanese bikes were coming with direct mount dropouts. 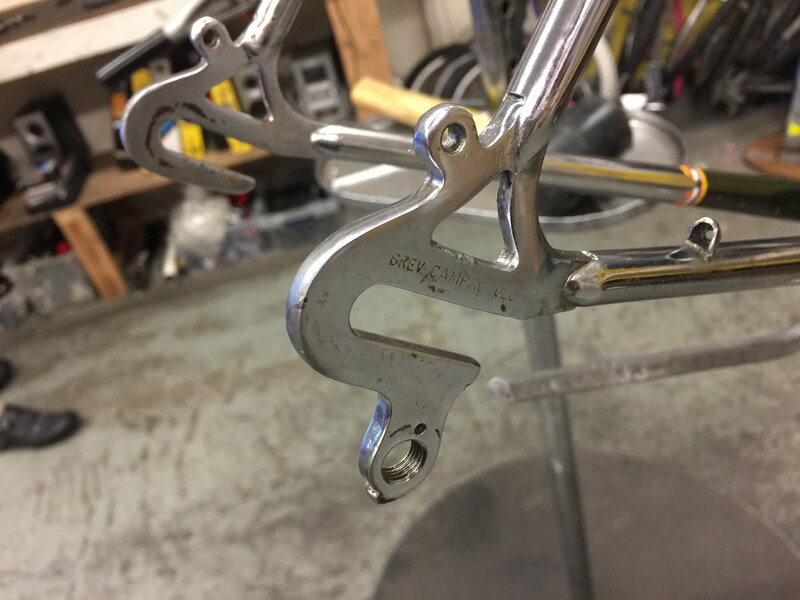 Their response was that Campagnolo dropouts would add $15 to the cost of each bike but that they could provide us with Milremo dropouts which were made by the same company that made them for Campy. Our cost was $6 per bike. @RiddleOfSteel bike has Campy 1010-1 stamped steel dropouts. My 1975 C34 had those too. I put more miles on that bike than any other I've owned. Durifort tubing was made out of a medium strength low alloy steel similar in mechanical properties to Tange Mangaloy, Ishiwata Magny and Columbus Aelle. It had about 2/3rds the strength of Reynolds 531, Columbus, Tange and the other 4130 steels at 1/3 the cost. 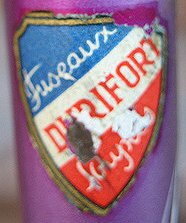 Durifort was popular on many mid range French bikes. 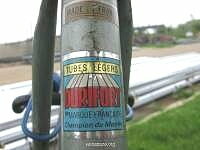 A lot of better quality French bikes had Reynolds main tubes with Durifort forks and stays. 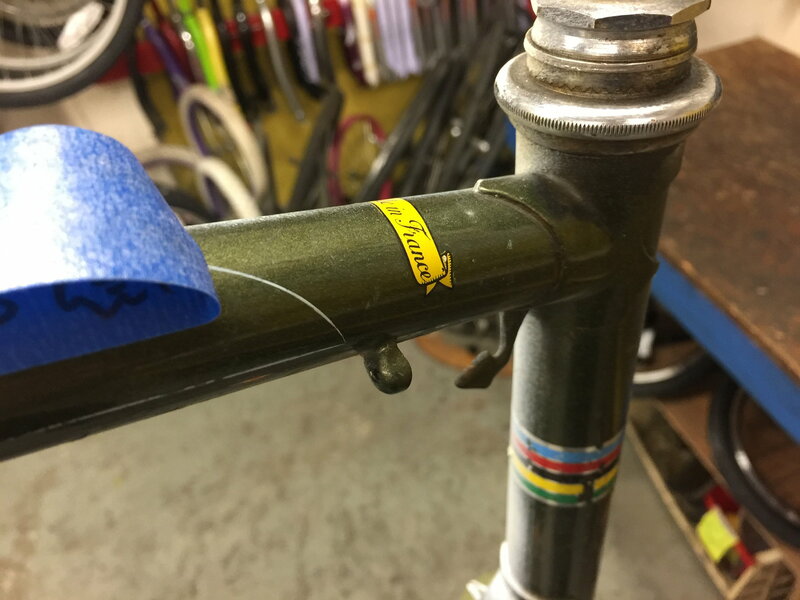 The 1mm x .7mm main tube wall thickness was the same as the heavier gage Reynolds 531 and Columbus SP tubing used on many production bikes during that time so the ride is going to be the same, especially on a larger frame. Those dimensions were all "nominal" - for marketing purposes. 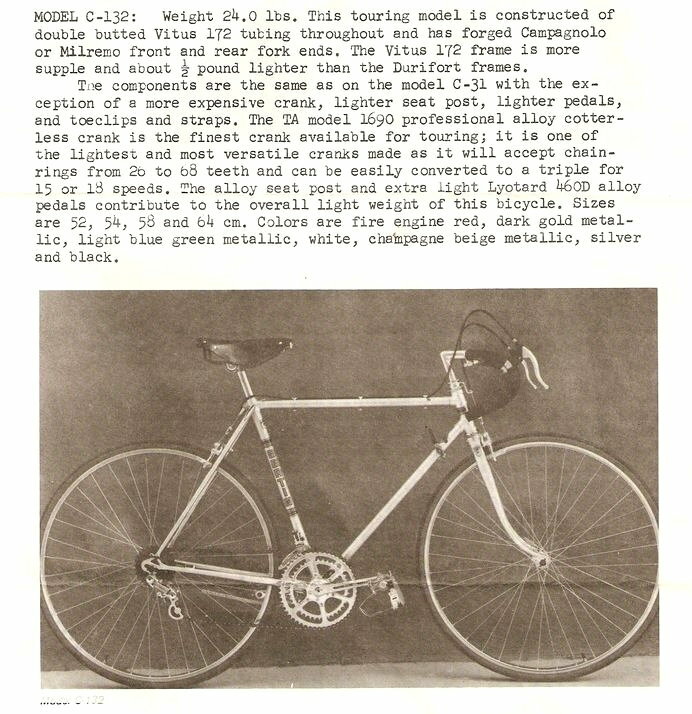 The bike would be a 64cm which was their largest standard size. 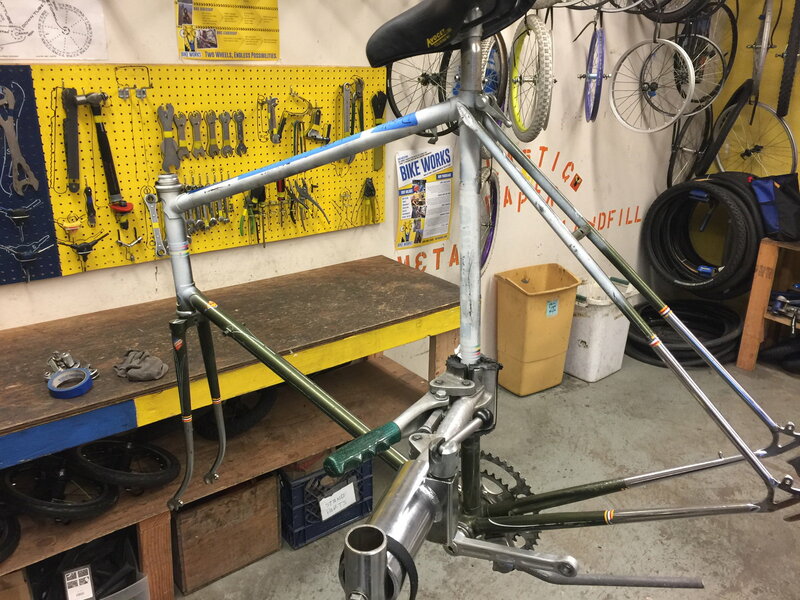 We had Bertin build us 68cm, 70cm and 72cm size frames plus some 67cm Reynolds 531 frames. 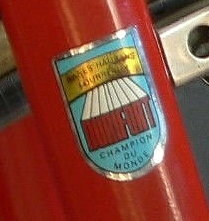 It has a Lightrace headset which was slightly better than the standard headsets used on Gitanes and other French bikes. The bottom cup and crown race got indented which led to indexing. 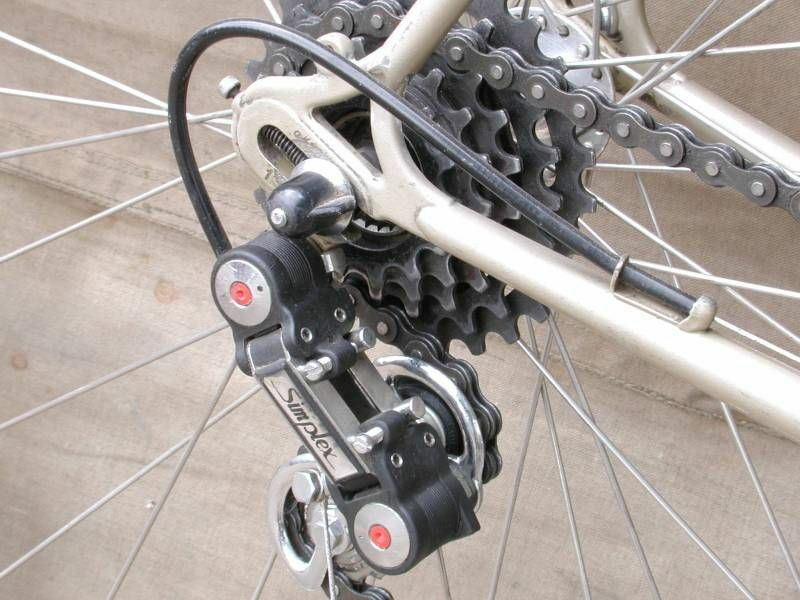 You could replace those 2 pieces with parts from a Tange Passage or Levin CDS headset. The Crown race has a 27mm ID. The Tange headsets are available in both 26.4mm and 27mm diameters. Too bad about the paint! That's why there are spay and neuter clinics! Last edited by verktyg; 07-15-18 at 11:39 PM. The green looks like the paint from my Dad's old 1972 Oldsmobile Toronado. Last edited by The Golden Boy; 07-12-18 at 04:18 PM. Looks like I'm going to be the proud recipient of this frame. I planned on leaning on you for advice building it up, good to see you're info here. I did notice the stamped Campagnolo dropouts. I knew they existed, but this was the first I've seen them on an actual frame. 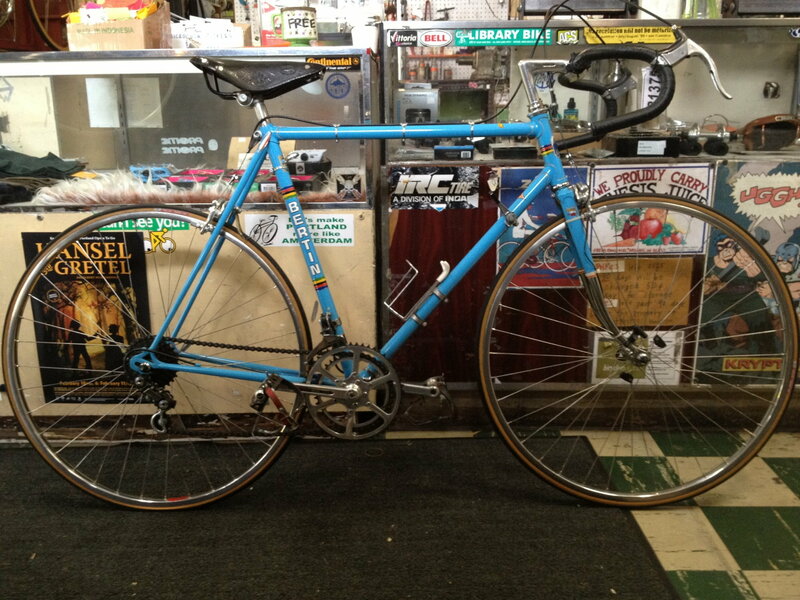 My plan is to repaint/re-decal, then rebuild with vintage French components. Last edited by gugie; 07-12-18 at 04:27 PM. 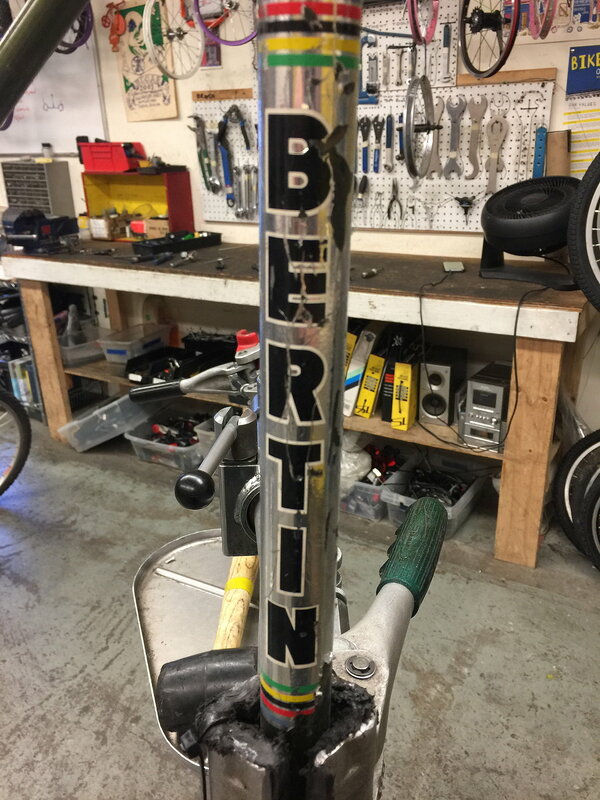 I agree with @verktyg that with Bertin "Most bikes were built to their wholesale customer's specifications (they didn't sell direct to retail customers)." I have seen C 37s, for example, with half chrome forks, chrome socks front and rear and no chrome at all with all of those samples from a similar time period. So RiddleOfSteel's bike (too bad about the paint job) has variances but legitimate ones for a C 132. It has the lug work, Nervex style pump holders and longer wheel base of the more touring Bertins but also has the variances of the Campy dropouts and front and rear chrome socks where C 132s usually only had the front. As Charles mentioned, "les spécifications sont sujettes à modification sans PRéavis" . Typically, the sportier C 34 would be full Durifort and the 132 would be main frame and fork like RiddleOfSteel's example. I agree when he initially commented, "There is enough 'special' on this bike that makes it worth getting the white paint off and keeping the patina, building it with functioning components, and riding it." Congrats on being the recipient. Think of your new Bertin as a French Grand Sport (Gran Sport, Grand Sports etc.)! Congrats to @RiddleOfSteel for the save and for finding a most worthy owner. And congrats to Gugie - this bike will keep you on your toes, at 61cm. @verktyg thank you for sharing your knowledge and expertise! A fascinating read! This is why I love BF. @bertinjim and @Wildwood I am going to pick up the frame tomorrow and bring it to the safe waters that is my apartment. @gugie and I will arrange an exchange in the near future. I need to see my nephew again! Glad the frame is going to a very good and very appreciative home. Now I'm wanting to look out for another one. RiddleOfSteel's bike is an early 70's C34. As I mentioned above, Bertin used the Campy 1010-1 stamped steel dropouts until 1976 when they changed to the forged Milremo dropouts. 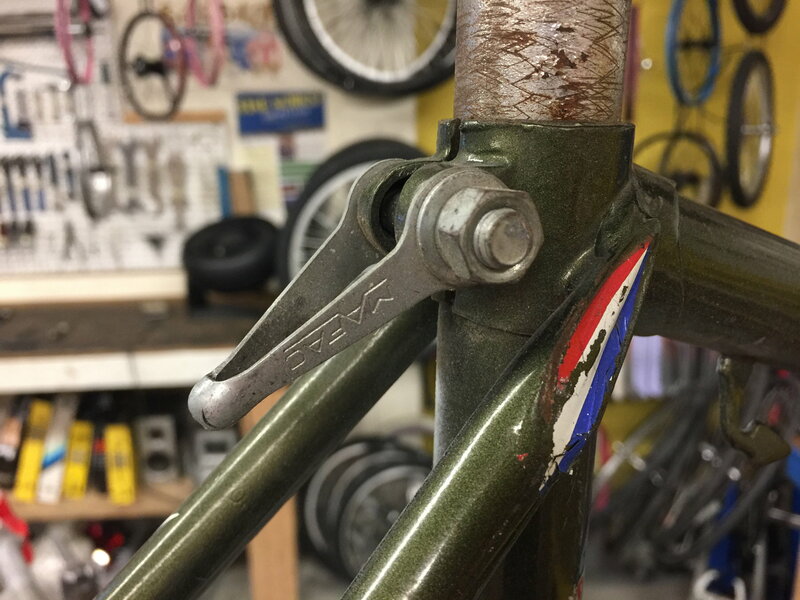 The early 70's C132 frames came with these thick stamped steel dropouts without an integral derailleur hanger. 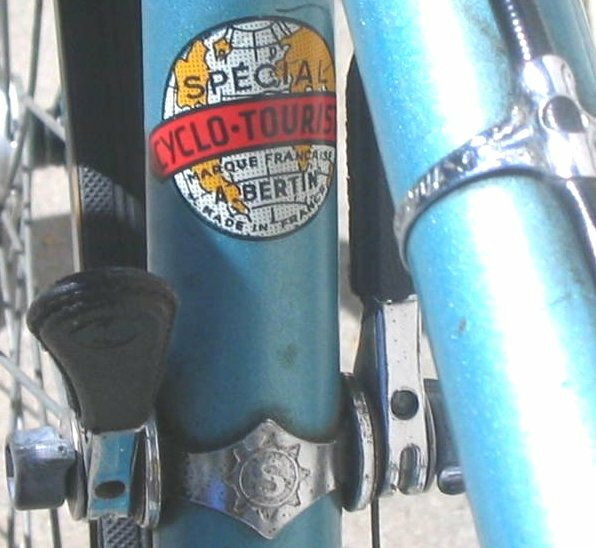 In 1976 at our request, Bertin started using their Milremo forged dropouts on the C31 and C132 Cyclotouriste bikes. C132 frames were made of Durifort with butted main tubes. The early decals were water slide and fragile. 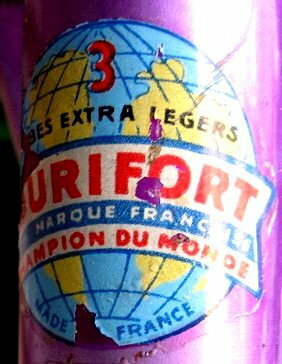 In the early 70's Durifort started using these new design self adhesive foil backed stickers. The geometry of RiddleOfSteel's C34 bike is very similar to my late 60's C37. Notice the long chain stays and fork rake. That kind of geometry was common of French road racing bikes because of the rough pavements that some races were conducted over. The C132 Cyclotouriste was a touring/randonneur style bike. The frames had a little longer chain stays and wheelbases. Last edited by verktyg; 07-14-18 at 05:14 AM. First off, thank you @verktyg for the venerable knowledge. The exchanges in this thread are exactly what BF is all about. Glad to see a cool bike being exchanged among people who appreciate it. Last night I dug out my 1979 C132 and cleaned it up. Today I gave it to my doctor and we went out for a ride. He loved it, first time on a classic bike, made a convert. It was one of the bikes that we imported. It got to NorCal from New Mexico. I found it on eBay. It's 54cm with 72° angles. 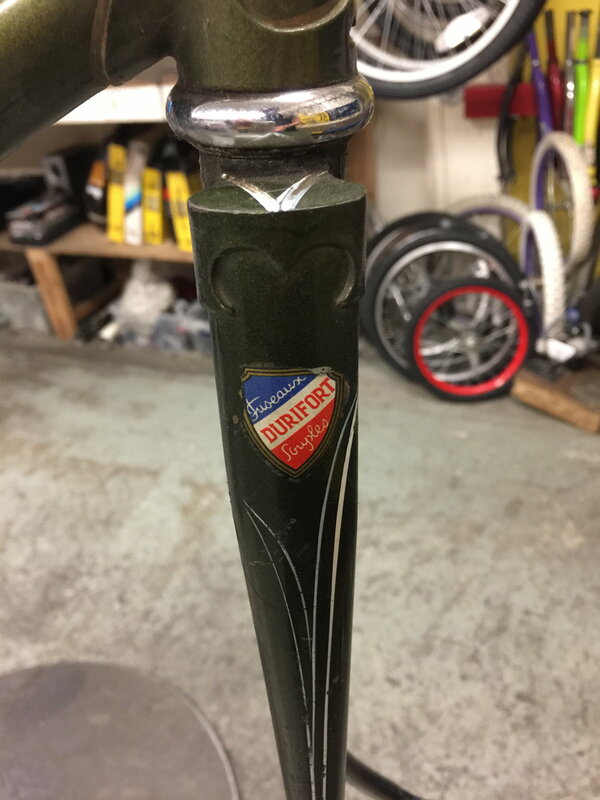 The Vitus 172 tubing has the same wall thickness as the Reynolds 531 tubes used on most production frames back then. 1.0mm x 0.7mm butted main tubes so the ride is the same as a Reynolds 531 production frame. This is the blurb from the 1980 sales flyer. 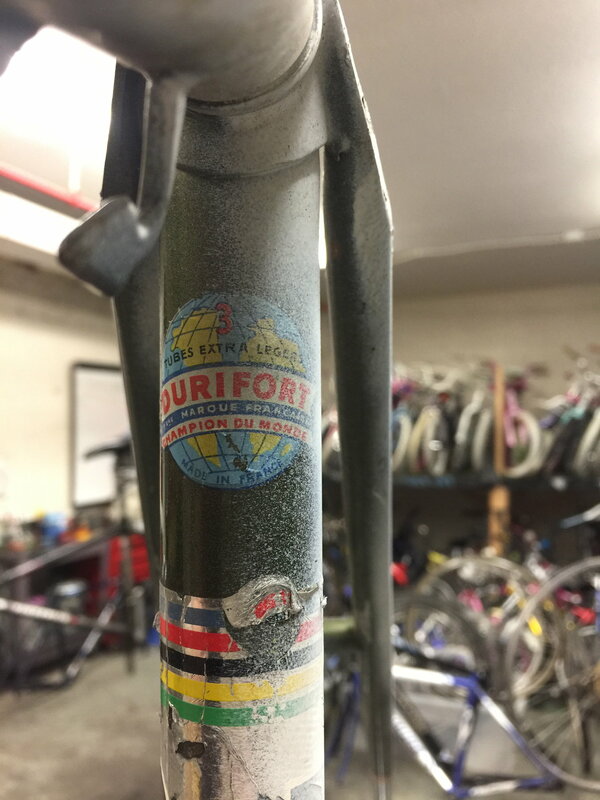 Here's a 1976 or 1977 Bertin C34 with Durifort tubing. 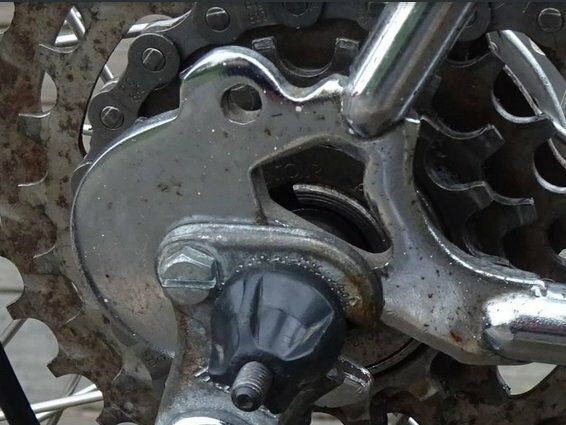 Notice the difference in the chain stay lengths between the C132 and the C34 (space between the seat stay and rear wheel). 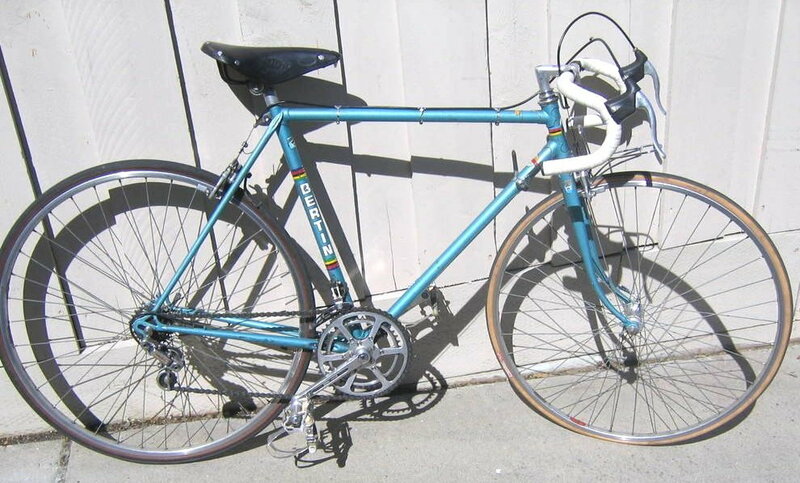 My 1975 C34 looked like this C37 bike - same color and decals, Stronglight cranks but with half chrome forks. It road the same as a C37. C132 bikes were not that common in the US. Merry Sales in South San Francisco imported a few during the bike boom so there's still some of them still floating around the Bay Area. We imported some with every shipment too. 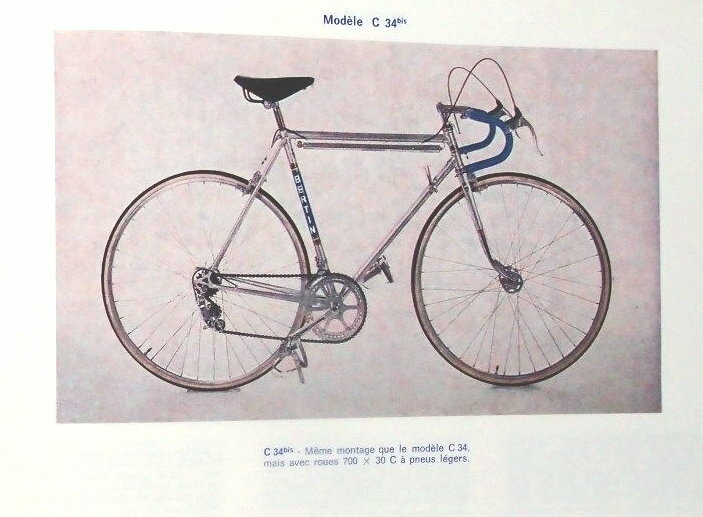 C34 bikes were far less common so you have a rare frame. Last edited by verktyg; 07-16-18 at 01:29 AM.